A fascinating look at the subject matter and style of Cold War-era posters. 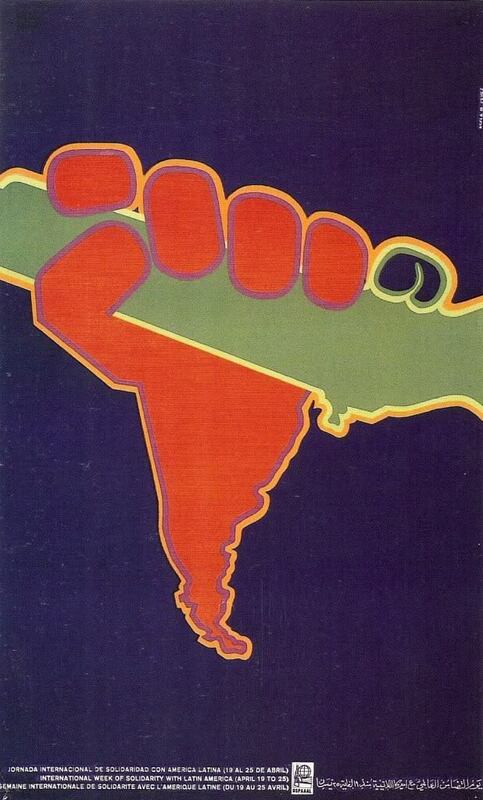 Following the Bay of Pigs Invasion, this propaganda poster was created to warn Cubans of another U.S. attack. A heavily Soviet Union influenced poster that represents industry and defiance. Poster for the annual May Day parade, where Castro delivers his infamous speeches that last for several hours. Commemorating the seventh anniversary of the revolution. Pictured in the upper left corner is Castro (in January 1959) with Camilo Cienfuegos, one of the captains in his rebel army . Camilo died in a plane crash in October 1959. The style of the poster draws heavy from Latin American folk art. 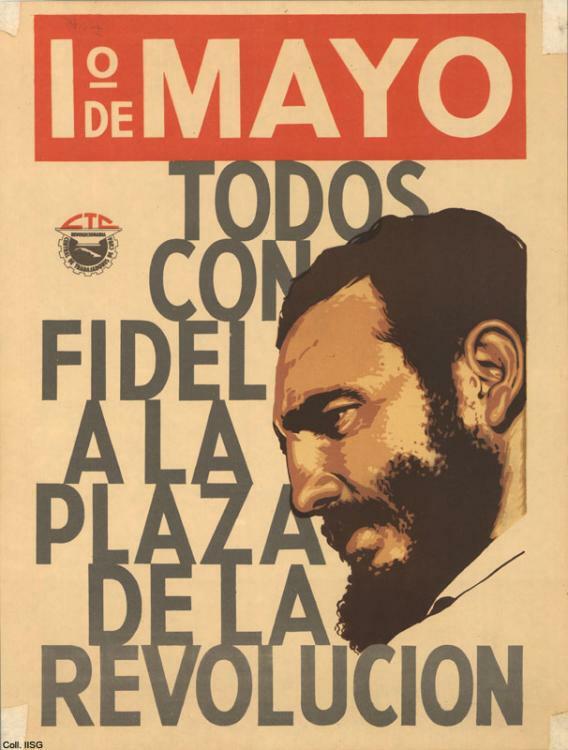 The poster was produced to commemorate the tenth anniversary of the death of Camilo Cienfuegos. Poster to commemorate the first anniversary of the death of Che Guevara - who was killed in Bolivia on October 9, 1967. Illustrating the idea that Christ would be a guerrilla if he were alive today. July 26, 1953, is viewed as the as the starting point of the Cuban revolution. 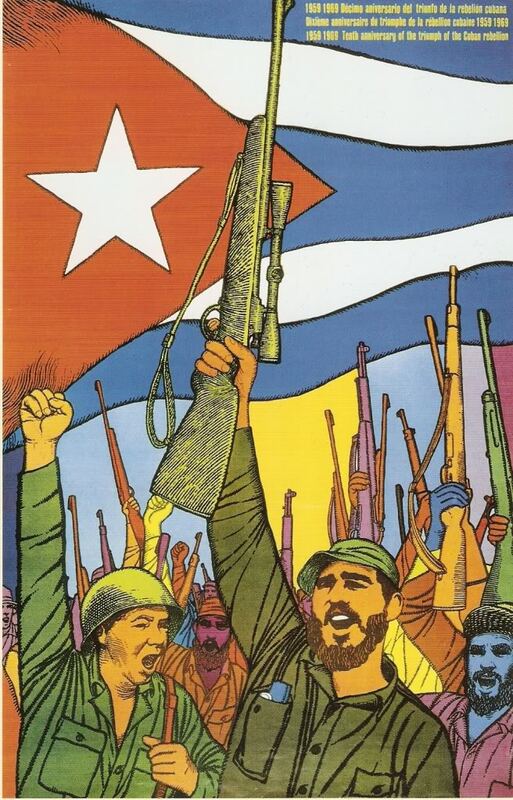 This poster commemorates the anniversary of Fidel Castro's failed attack on the Moncada Barracks. Another poster commemorating the seventeenth anniversary of the revolution. Nixon depicted with dead bodies in his thoughts. Nixon is depicted as a vulture that is carpet-bombing Cambodia and Laos. A poster asking for the release of Angela Davis, an American political activist, who was arrested in 1970. The poster was produced to commemorate the eleventh anniversary of the death of Che Guevara.